Gorgeous like new 5 bedroom home in The Farm! 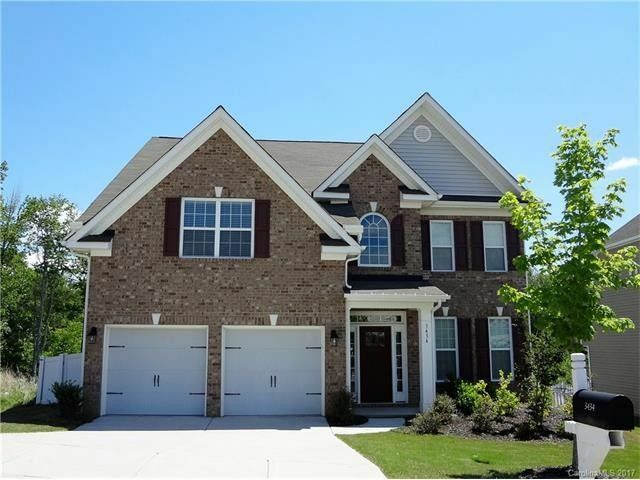 Soaring two story foyer, hardwood floors, two piece crown molding, outstanding kitchen with great cabinet space, granite in kitchen and baths, bedroom and full bath on the main level. There is a spacious master bedroom with trey ceiling. Master bath has separate shower and bath, tile floor and nice walk-in closet. There is also a large 5th bedroom/bonus room. The backyard is fenced and backs up to woods. The Farm amenities are excellent! Directions: From I-77: Hwy 73 east, turn left on Shiloh Church, left into The Farm on Riverfarm Blvd, Streamside Drive is on the left.